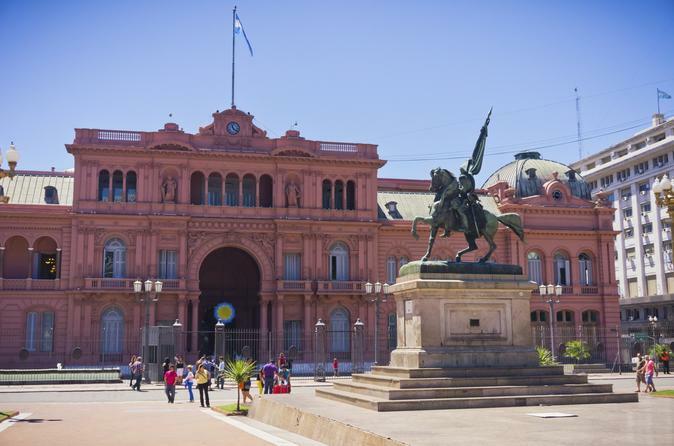 See the city sights and discover Argentina’s footballing legends with this great-value Buenos Aires Super Saver, combining two popular tours into one money-saving package. Start with a 6-hour city tour, visiting landmarks like the Obelisco, Plaza de Mayo and Recoleta Cemetery, as well as the San Telmo and La Boca neighborhoods. Next up is a 6-hour behind-the-scenes tour of the famous La Bombonera and El Monumental futbol (soccer) stadiums, a chance for football fans to walk in the footsteps of icons like Maradona. Don't miss the chance to stand on the same fields as your soccer icons, and get into stadium places that most visitors never see. On the city tour providing a comprehensive overview, feel like a local as you travel by foot and use public transport to get to know Buenos Aires.